There are mysteries that we haven’t solved them yet. Most of them include a mysterious artifact (the Antykythera mechanism), object (the Guatemala stone head), a scene (The Summer’s Triumph Tapestry) and so on. And then there are animals, creatures that we believe they are real. We put our faith in stories, myths, and legends about creatures that nobody has ever seen. It is in our nature to look for the superficial (after all, God is sometimes called a superficial thing by heretics and non-believers). That being said, let’s take a look at some of the mysterious animals that we think really exist. We’ve seen the Yeti in several movies, cartoons, and animated pictures. Yet, nobody has seen him alive. Other names for the Yeti include Sasquatch and Bigfoot, a mysterious hairy ape-man creature that have been reported seen in isolated woodlands. 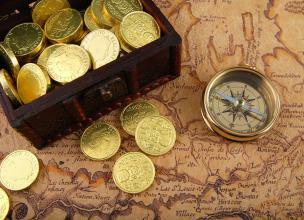 There are reports for the Yeti from Africa to America, from Europe to Asia. Simply put, all corners of the globe. Because of the all reports, it is highly unlikely that the Yeti exists. After all, if he is just one creature, how can he travel all the time to different continents. Some of the attributes given to the Yeti are the following: 7 or 8 feet tall creature with brown or white hair, eerie howl, and strong and revolving odor. Unlike the Yeti, the Dover Demon has been reported only in one spot on Earth, and that spot is the city of Dover in Massachusetts. Hence, the name Dover Demon. The creature was reported seen in April 1977, and since then, there are speculations that the Dover Demon is part of the alien race here on Earth. The appearance of the Demon resembles a lot to the perception of aliens we have, with a single difference, he is not green. There were reports he is a human or alien hybrid. According to “witnesses”, the Demon has disproportionately large head shaped like a watermelon, with glowing orange eyes, and long thin arms and legs. He lacked facial features, and he was hairless. Nessie, or the Loch Monster has been subject of several researches, studies, and journeys to Scotland. Reported by witnesses as a dinosaur shaped creature living in the Loch Ness Lake. We must note that in Scottish folklore, the monster is described as someone who wanders the Highlands. There have been few sonar readings and supposed photographs, but the creature was never found. Nessie falls into the same category as the Yeti, as one of the most believable creatures on the list, and one that was deeply studied by scientists. His or hers physical appearance attributes include humped back, large and with long neck, and a head like a horse. Moving on the list, we are at another UFO that has been described as extraterrestrial mystery. The Flatwoods monster falls in the same category as the Dover Demon, as both are believed to be aliens. 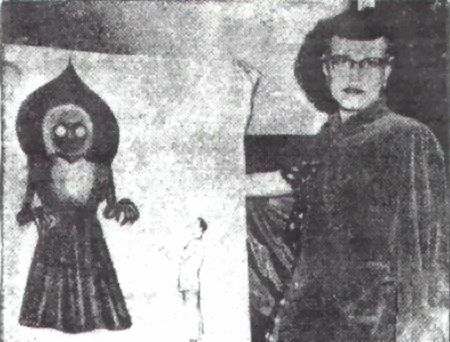 The Flatwoods monster is little older, as it was first reported in September 1952 in West Virginia. The Flatwoods monster is even taller than the Yeti, and according to reports, the creature was 10 feet tall with a face that has reddish glow. His body was green, further contributing to the alien controversy. His head, however, was nothing like the heads of aliens we believe exist. Instead, he had a head with a shape of an Ace of Spades. He is reported looking like a man, but in a skirt, something like the ones Jedi wore several years later in George Lukas movies. Imagine a creature as big as a chimpanzee and hops like a kangaroo. And to top it all, the Chupacabra is believed to have wings. His name, translated in English means “the goat sucker”. First reported in Puerto Rico, the “El Chupacabra” was believed to kill livestock. The creature was first reported in the 1970s, but then the reports escalated in the 1990s. An interesting fact: according to farmers, the El Chupacabra never ate its prey, but instead, drained its blood through small incisions. The creature was also reported in Mexico, and other South American and Central American countries. Other physical attributes include: grey skin, hairy arms, sharp fangs, snake-like tongue, glowing red eyes and quills along its spine. Ancient Greeks had the Minotaur. Several hundreds and thousand years later, the Western World met the Pope Lick Monster. A human and goat hybrid had a grotesquely deformed body of a man, and a head of a goat. His legs were also fur-covered like goats. Horns employed on his forehead were used for killing victims. The creature was named after the Pope Lick Creek. Reports and stories go that the creature used hypnosis and voice mimicry to lure victims. As you can surely notice by far, most of these creatures have a man like body. 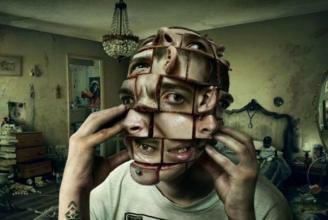 They represent deformations or abominations of humans. The mothman was first reported in 1966 in West Virginia, and the next year, there were series of reports of the same creature. The winged humanoid had gray skin with scales and red glowing eyes. The mothman ate large dogs, caused TV and radio interference, but also could make people channel prophesies. Another man like animal, the owl man was first reported in Manwan, Cornwall in 1976. The creature was spotted for the next two years above the Church tower. 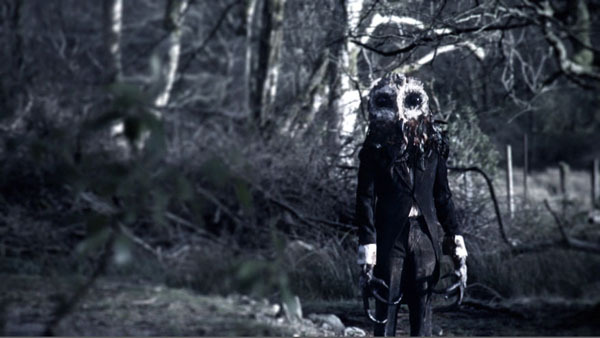 The owlman and the mothman had similar appearance, making few people think they were the same animal. With a size of a man, the owlman looked like an owl, with black claws, pointed ears and large grey wings. Last on the list of man-liked scary creatures on the list, the goatman is described a hybrid beast that looks a lot like the ancient satyrs from Greek legends, stories and myths. 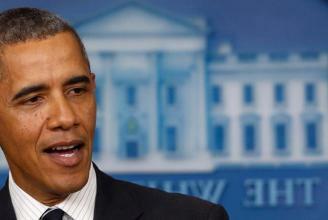 However, according to several witnesses in Upper Marlboro, the Goatman is very much real and alive. The haired and horned monster has reportedly killed fourteen people in 1962, twelve of which were children. Some people claimed the tourists were hiking too close to the lair of the Goatman. There were few survivors, but they stayed unidentified and anonymous ever since. 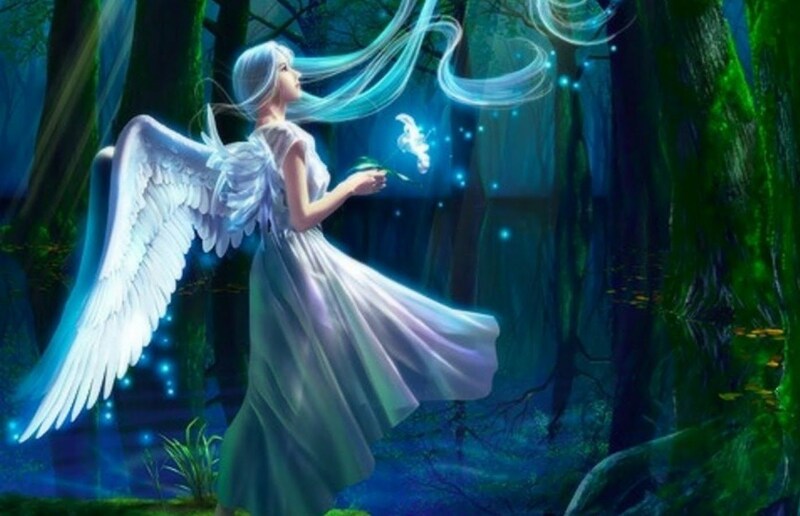 Fairies also have a human like appearance, but unlike beasts and other creatures on this list, fairies are described as beautiful and charming people with wings. There are people that believe in their existence, but they are a minority. There are reports of people in England that have encountered fairies in forests. According to reports, they are 3 feet tall, light and shadowy.